Why Hire a Local Printing Company in Mount Vernon Ohio to Do Your Wedding Invitations? 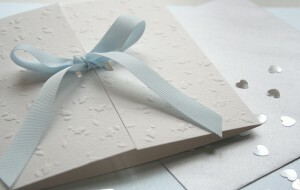 We have a GREAT selection of Wedding Invitations! When a wedding is on the horizon, there are so many different things that have to get done that it can be a little bit overwhelming at times. In this situation, one of the primary tasks that will have to be accomplished early on is getting wedding invitations printed up. In today’s technologically advanced world, it is possible to handle this with a print shop that is located in some remote location thanks to the Internet. While this is definitely an option that many people choose, it may not necessarily be the best. Here are a few reasons that it makes sense to hire a local Mount Vernon Ohio printing company to print wedding invitations. One reason that using a local print shop makes sense is that they provide quick access to proofs of the invitations. Looking at an online proof just isn’t the same. While using online proofs can provide an idea of what the final product will look like, sometimes, it can look substantially different from what it looks like online. With a local print shop, a proof can be provided relatively quickly. Then the couple can check it out and let the print shop know if any changes need to be made. If revisions to the design need to be made, this also cuts down on the amount of time that the couple has to go back and forth with the print shop. Revisions can be made quickly and easily. Another reason that it makes a lot of sense to use a local print shop is that the couple can cut down on the amount of money that they have to spend on shipping. Instead, they can put that extra money toward getting another feature on the invitations that they want. They could also just choose to not spend that money and save a little bit to put toward other areas of the wedding. Weddings can definitely be expensive, and every little bit can make a difference. Dealing With Someone Face-to-FaceWorking with a local print shop also makes it possible to deal with someone face-to-face. The couple doesn’t have to wait on hold to talk to some customer service rep in a far away land. They can simply walk into the shop and talk to someone whenever they have a question. Ultimately, the decision to work with a local print shop makes sense for most people.